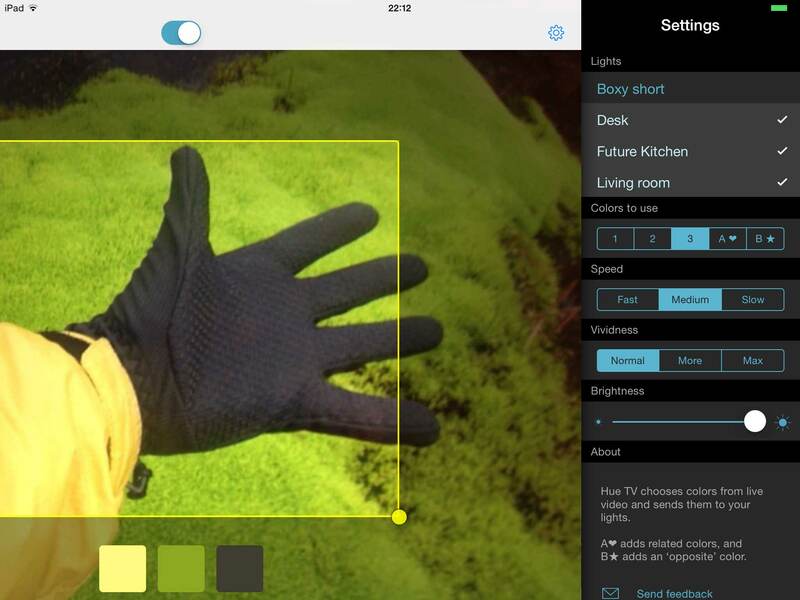 Send TV colors to Hue, LIFX, & Avea with Hue TV. Simple setup. Easy options. Living colors. Bring your living room to life with Hue TV. Just aim Hue TV at your monitor and your space lights up with colors that follow the show you're watching. 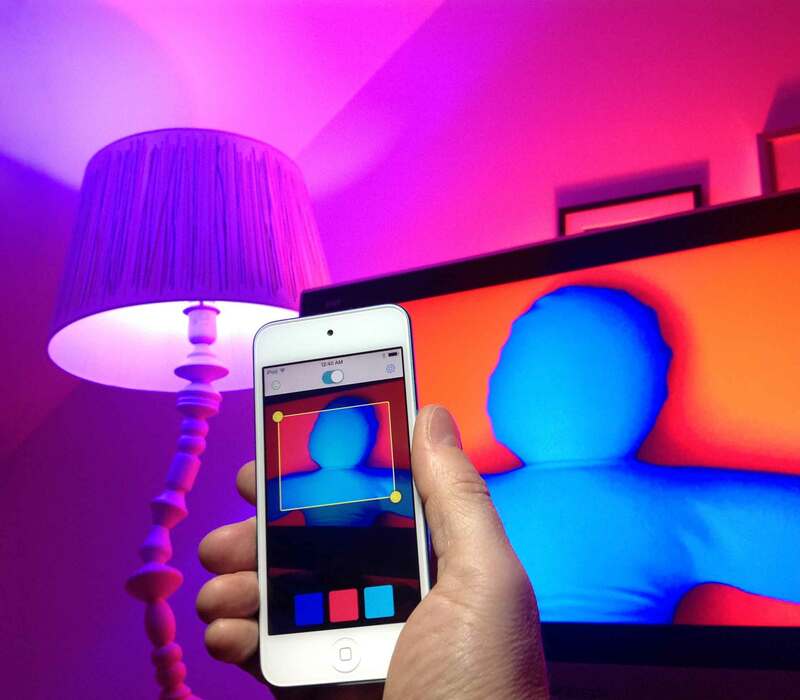 Using your device’s camera, the app picks colors and sends them to your Philips Hue, LIFX, and Avea lights. Or add extra harmonized colors for a sophisticated effect. Choose bulbs. Adapt colors, speed, and brightness to your taste. 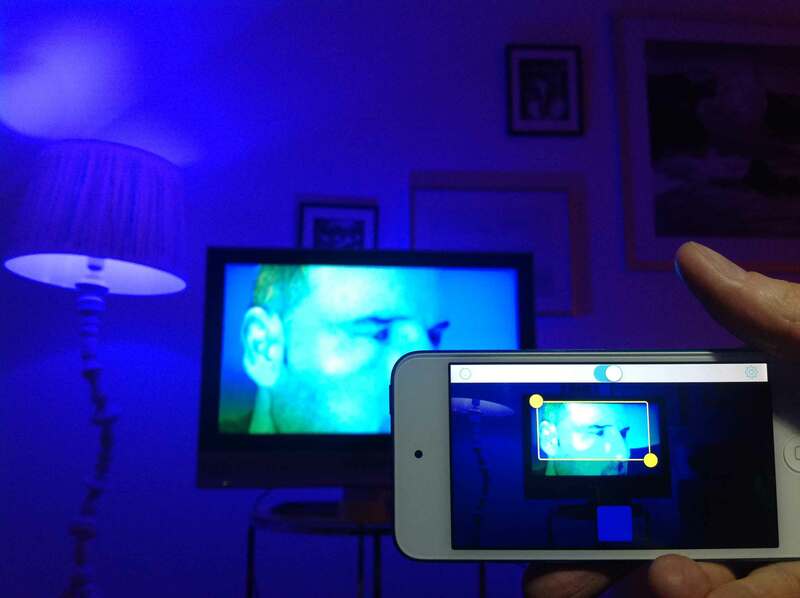 Works with Philips Hue, LIFX, and Avea. Or mix and match all three. We hope you’ll give Hue TV a try.